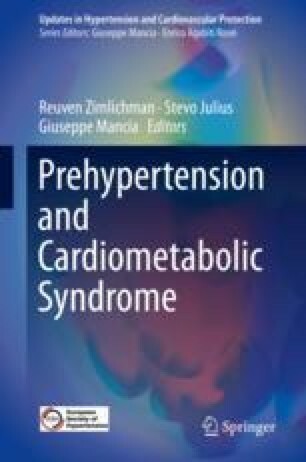 Professor Stevo Julius’ extraordinary scientific contributions during the past half-century advanced our understanding on the pathogenesis, prevention, and treatment of hypertension. His early work showed a relationship between anger, increased sympathetic drive, and reduced parasympathetic tone was fundamental to hyperkinetic borderline hypertension. The investigators provided evidence that sympathetic overactivity led to β-adrenoceptor downregulation and structural and functional cardiac and vascular changes. These changes, rather than autoregulation, contributed to the transition from high to normal cardiac output with a progressive rise in blood pressure. Through population-based studies, Professor Julius confirmed a key role for sympathetic activation, especially faster heart rates, in the early phase of hypertension. Faster heart rates coincided with cardiometabolic abnormalities including hyperinsulinemia, insulin resistance, and dyslipidemia. The investigators subsequently showed that increased vascular α-adrenergic tone induced resistance to insulin-mediated glucose disposal in skeletal muscle. Professor Julius and colleagues documented that angiotensin-receptor blockade safely lowered blood pressure in prehypertensives and slowed the transition to hypertension. He then partnered with long-term colleagues on multinational studies in middle-aged and older hypertensives at high cardiovascular risk. These studies showed that (1) failure to control blood pressure during the first 6 months of a clinical trial led to a significant increase in cardiovascular events, (2) patients controlled on more antihypertensive medications had less benefit of treatment than individuals controlled on monotherapy, and (3) faster heart rates were associated with worse outcomes in treated hypertensives. Clinicians are better prepared to prevent and treat hypertension by understanding the life work of Dr. Julius and colleagues.